BOISE — Forty-eight hours after election night, we're taking a closer look at the results. Some numbers were somewhat surprising to a lot of voters, others, not so much. In the state's most populous county a tussle played out between both parties, proving Ada County is getting more purple. Democrats flipped a couple legislative seats and gained more ground in other races. They even picked up two seats on the Ada County Board of Commissioners, a body that has traditionally gone Republican. But the numbers show the county leaned slightly more to the right in this governor's race than it did four years ago. "We had tremendous turnout," said Ada County Chief Deputy Clerk Phil McGrane. "We see it everywhere in terms of throughout [Idaho] but particularly here in Ada County." It was a midterm that looked more like a presidential election. Unofficial results show more than 78 percent of registered Ada County voters turned out. McGrane says they're still counting same-day registrations and will have a bigger overall picture of turnout in a couple months. 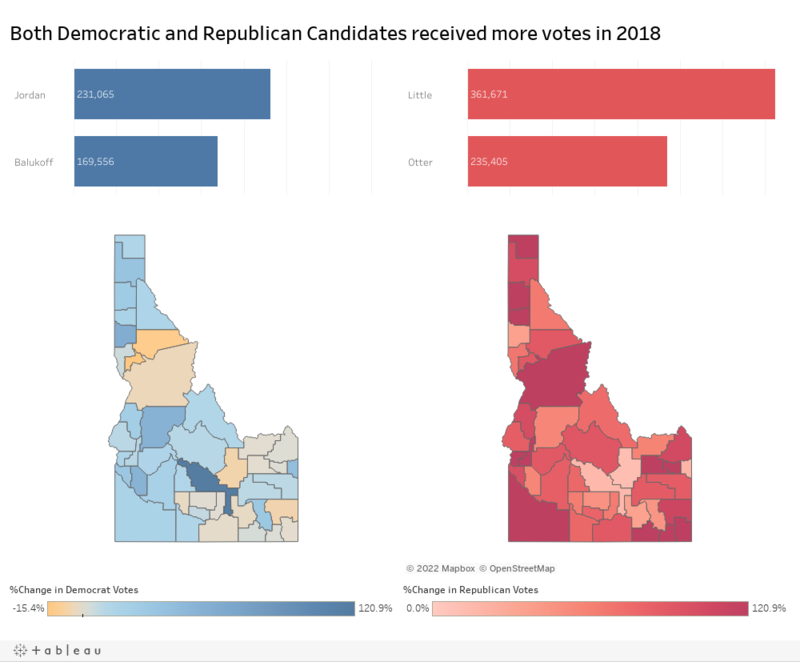 “It looks to be that the young voters had to turnout a little higher than usual," said Boise State University Assistant Professor Jaclyn Kettler. "They tend to have lower turnout rates." More people voted on election day compared to the presidential election two years ago, but the percentage of official voter turnout isn't going to be higher. “Part of that is just an interest in this election, the other part is a reflection of the growth: we have more people here in the Treasure Valley,” McGrane said. Growth had an interesting role to play in this election cycle. “Out of state growth seems to be just amplifying the patterns of partisanship we already have in the state,” Kettler said. "We're seeing people who have more Democratic-leaning values move into Boise and the eastern side of the town, whereas people moving into Eagle and Meridian, you see those places actually becoming more conservative,” McGrane said. Ada County isn't seismically shifting red or blue, McGrane says - it's becoming more purple. However, there is a blue shift in some races. "There's certain races where you'd say, certainly [there is a shift to the left] - if you look at District 15, the Ada County Commission," McGrane said. 'Then when you look at some of state officials like the governor's race, it wasn't as strong as you see the intensity in some of those other ones. "So I think there's more a reflection of the tussle," he added. "I think if you look at the western side of the county, it voted heavily more Republican. If you look at the eastern side of county it voted heavily more Democrat." 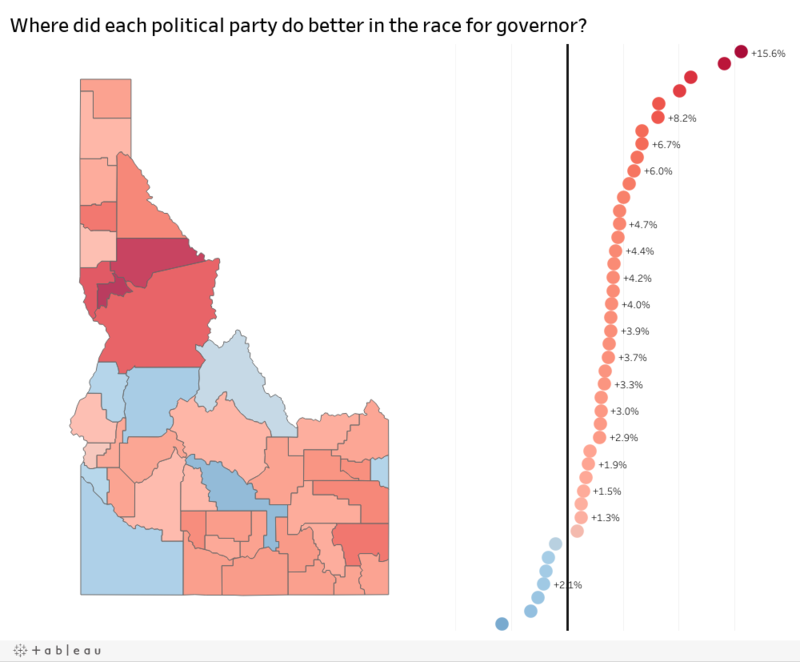 Ada County was almost a 50/50 split in the governor's race; Paulette Jordan only won Ada County by one-percent, showing the race was neck-and-neck between her and Brad Little in the state's largest county. Data provided by Ada County Elections shows 2014 Democratic contender AJ Balukoff won the county by a larger percent than Jordan did. But as a reflection of turnout and growth, statewide Jordan got a lot more total votes than Balukoff - almost the same number incumbent Gov. C.L. "Butch" Otter had in 2014. As mentioned, two of three commissioners are female Democrats now, which experts say is historic. "That's what I'm hearing from some people: people were looking for a change, they're concerned about growth, they're concerned there's other issues not getting fully addressed that we need more proactive policy to address," Kettler said. "And it was a good year for Democrats, so there may have been a combination of a few things." All those factors also play into how effective and active candidates' campaigns were, Kettler said. In Legislative District 15, two house seats went from red to blue and the state senate race was so tight there's a recount underway. “Everyone knew that was going to be one of the most competitive races in the state," McGrane said. "It certainly showed it was that way. It shifted a little more to Democratic Party than expected." “Presumably some of those districts will become more Democratic over time as we've seen other districts shift across time, across the city,” Kettler added. 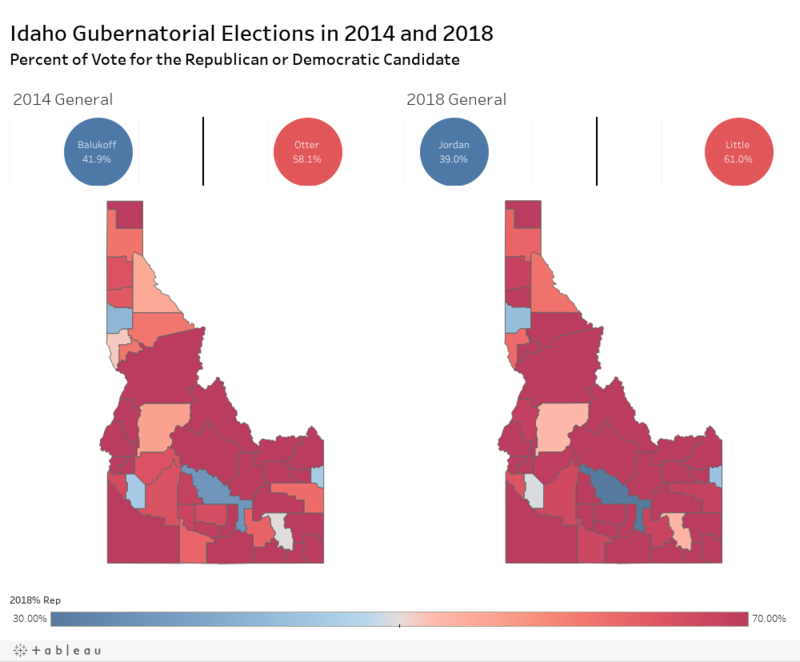 Apart from those shifts, this election showed, again, Idaho as a whole is still deeply red. Ada County Elections is currently focusing on that District 15 recount, and potentially at the end of the month a recount of the extremely close CWI levy, which failed by just 144 votes.